Lock in a great price for Barceló Imagine – rated 9.2 by recent guests! Very friendly staff. Extremely clean room. Room service was great. We had a very pleasant stay. The staff was very friendly, particularly Patricia Kluge who went out of her way to assist me. The best Spanish hotel I've ever stayed in. Far from the center but an outstanding facility. 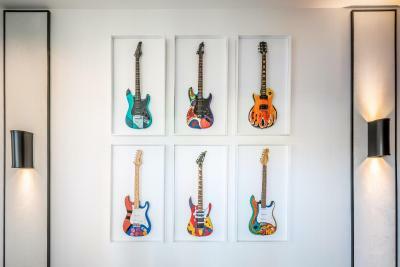 I enjoyed the theme of the hotel, the rock and roll everywhere, it was fun! 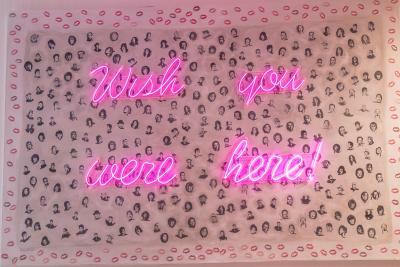 I wish I could come back soon! 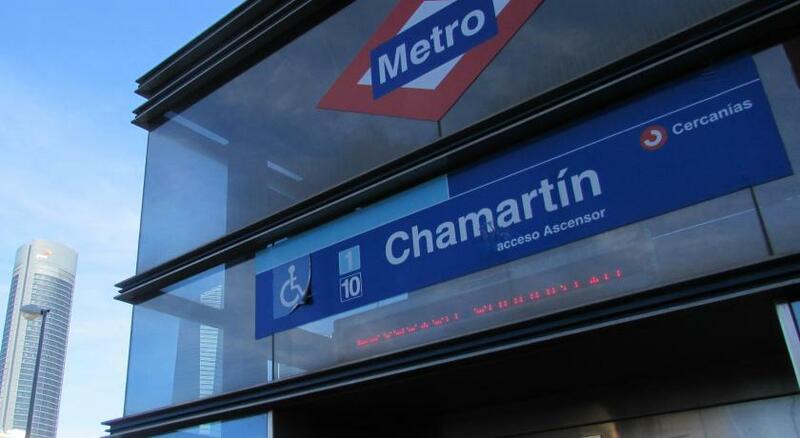 The location near the Chamartín train station is very convenient. The hotel is very modern and was a good value. We did not have breakfast so I cannot comment on that. I would stay here again. Very friendly staff, clean, well furnished and spacious room. Huge comfortable bed. 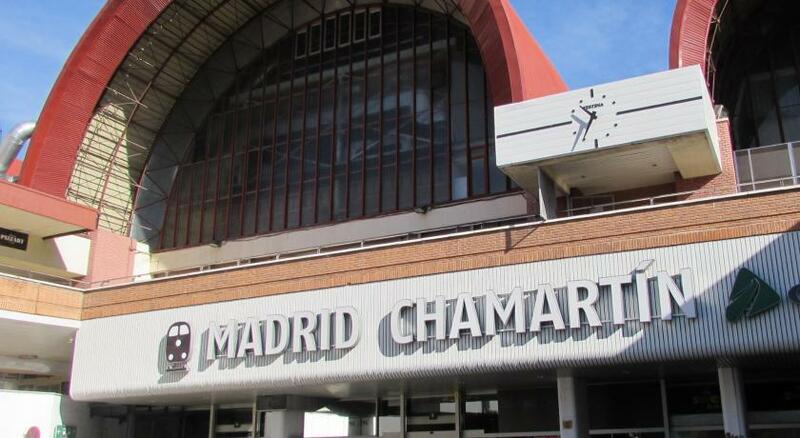 The hotel is located near Chamartin train station and is very good for people in transit. Very nice boutique hotel, friendly staff and excellent facilities. 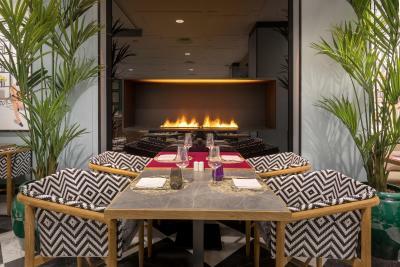 Food in the restaurant also excellent, service a little bit slow sometimes but tolerable. Lovely pool area. Pool area was a good size and well managed and maintained. Despite being busy allocation of pool beds and space in general was well managed. The breakfast was excellent and a really good deal for what was on offer. 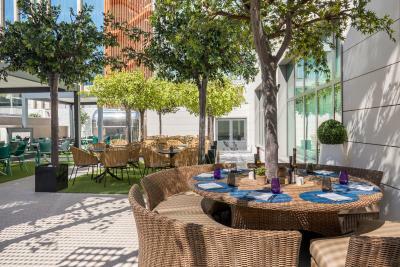 Would definitely stay again for the same reasons as before to escape the Madrid heatwave! 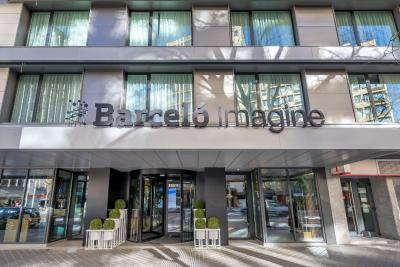 Barceló Imagine This rating is a reflection of how the property compares to the industry standard when it comes to price, facilities and services available. It's based on a self-evaluation by the property. Use this rating to help choose your stay! 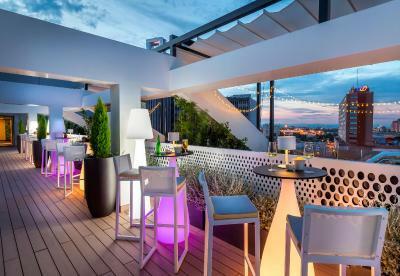 One of our top picks in Madrid.Located 1,950 feet from Plaza Castilla, Barceló Imagine features avant-garde style, a rooftop terrace with outdoor pool and a garden. 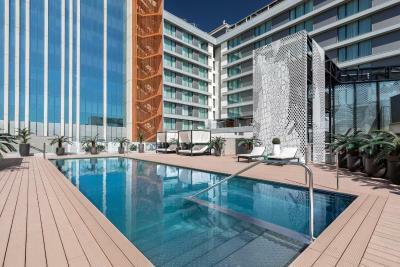 Madrid Chamartín Metro and Train Stations are 5 minutes’ walk away. 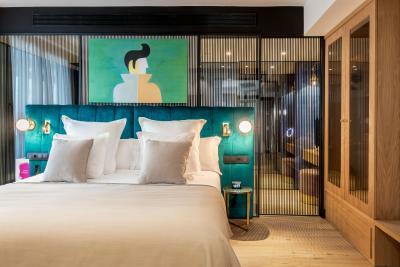 This concept hotel brings together all types of musical genres and features themed rooms exploring rock, jazz or flamenco. 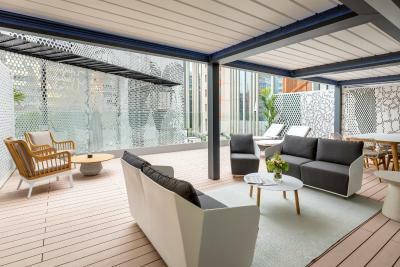 The modern, air-conditioned rooms come with a seating area, flat-screen satellite TV and tea and coffee maker. The private bathrooms include free toiletries and a hairdryer. 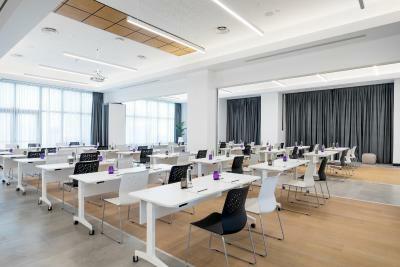 Barceló Imagine offers a gym and a massage room. 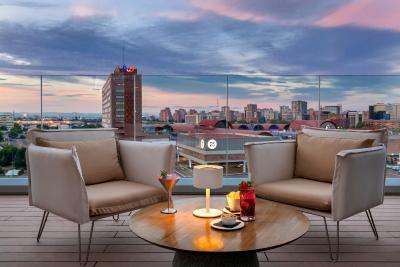 There is a lobby bar that serves snacks and drinks and a Sky Lounge with views of Madrid that serves cocktails. 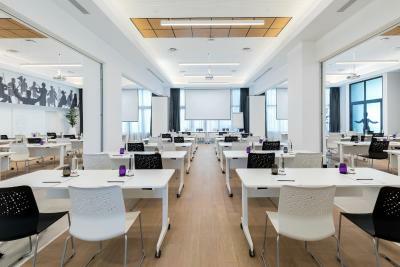 The hotel also offers 3 meeting rooms that can be joined to form a large and bright events room with direct access to a terrace. 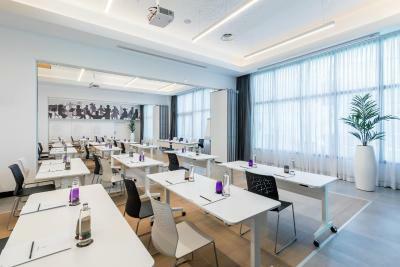 Santiago Bernabéu Stadium is 1.2 mi from Barceló Imagine and Madrid-Barajas Adolfo Suárez Airport is a 20-minute train ride away. 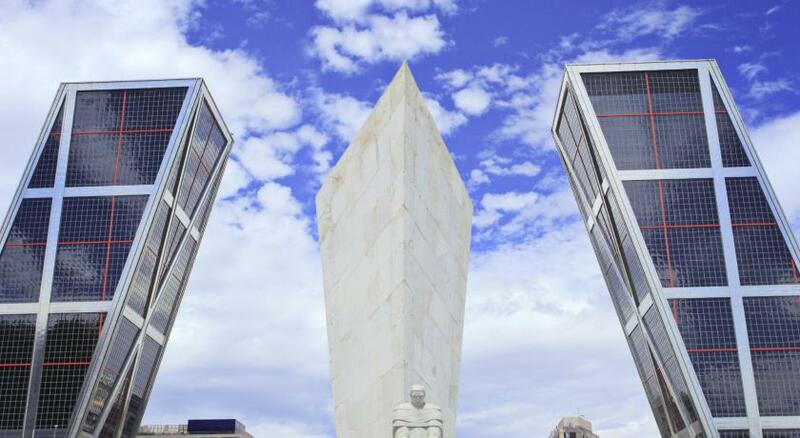 Chamartín is a great choice for travelers interested in monuments, shopping and sightseeing. When would you like to stay at Barceló Imagine? This room has a private bathroom with free toiletries and hairdryer. It includes bathrobe and slippers. 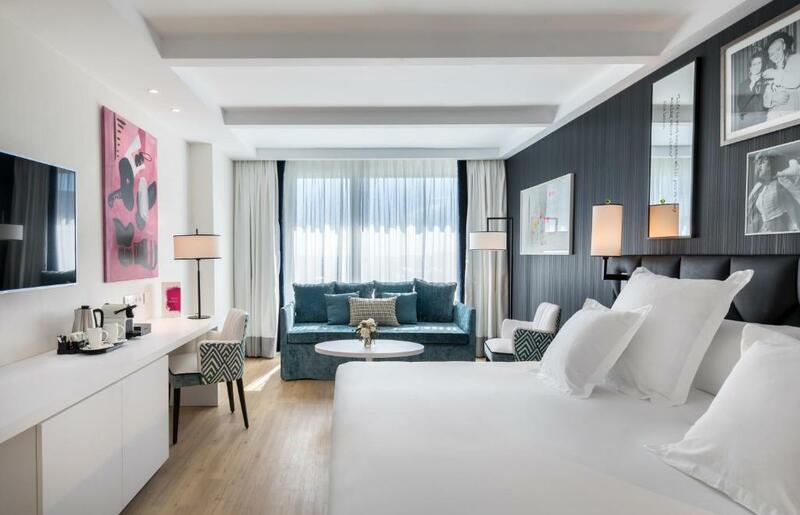 This twin/double room features a bathrobe, seating area and air conditioning. It includes bathrobe and slippers. This twin/double room has a seating area, sofa and bathrobe and slippers. This triple room features air conditioning and sofa. It includes bathrobe and slippers. This double room has air conditioning, sofa and bathrobe and slippers. This family room has a bathrobe, seating area and air conditioning. It includes bathrobe and slippers. 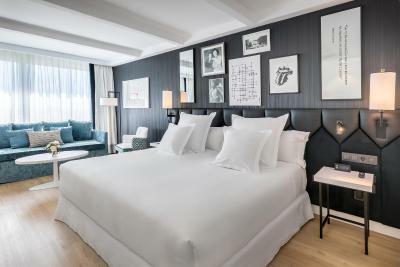 This premium family room consists of 2 inter connected double rooms. It has 2 bathrooms with free toiletries and 2 hairdryers. It includes bathrobe and slippers. 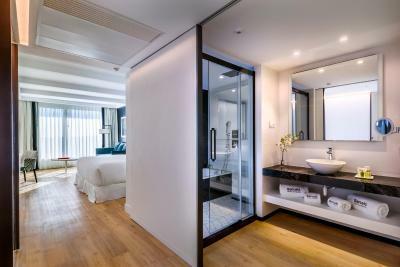 This suite features a seating area, bathrobe, slippers and air conditioning. This room has private bathroom with free toiletries. It includes bathrobe and slippers. 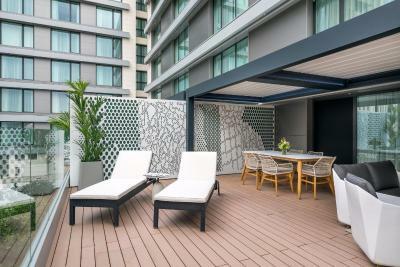 Featuring a terrace, this room has private bathroom with free toiletries. It includes bathrobe and slippers. 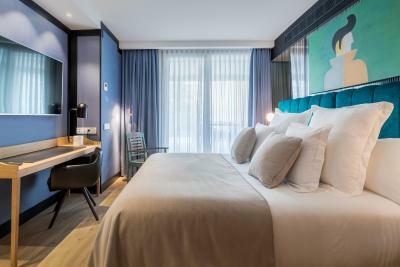 This premium double room has a sofa bed and a private bathroom with free toiletries and hairdryer. It includes bathrobe and slippers. This family junior suite consists of 2 inter-connected premium double rooms with 2 sofa beds. It has 2 bathrooms with free toiletries and 2 hairdryers. It includes bathrobe and slippers. 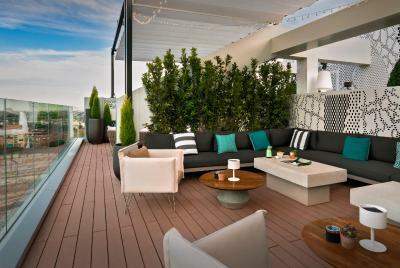 This suite has a private terrace with views of the pool. It includes bathrobe and slippers. 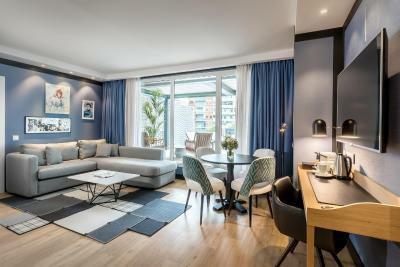 Hotel surroundings – This neighborhood is a great choice for travelers interested in monuments, shopping and sightseeing – Check location Great location - show map Guests loved walking around the neighborhood! 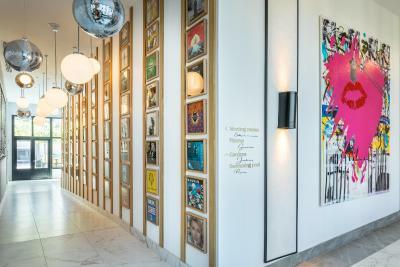 House Rules Barceló Imagine takes special requests – add in the next step! 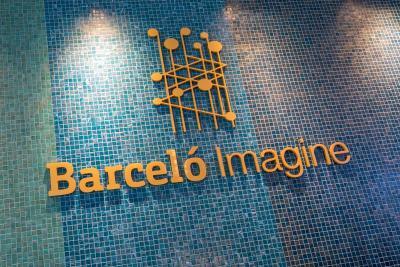 Barceló Imagine accepts these cards and reserves the right to temporarily hold an amount prior to arrival. Please note that the pool is open from 28 May until 30 September. Room super comfortable. Bathroom well equipped. Staff helpful and put themselves out to meet your needs. 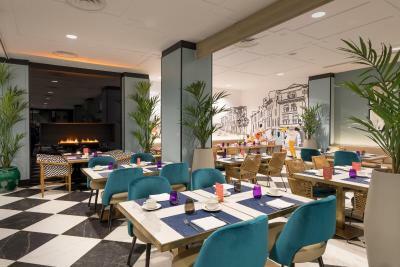 Excellent location ( not central but) near Chamartin train station for good connections. Highly recommended . All staff were amazingly helpful. Concierge service amazing. Went the extra mile to help Me. My room was new clean and fresh. These are the 3 most important things i look for in a hotel. Easy access to charmartin station. Far from the centre of Madrid. Beautiful big rooms, well decorated and equipped , good bathroom , friendly staff, near airport. Close to my conference centre, in Eurotowers. The location is not central, yet it was near the conference venue. The location was ok, and near a metro stop. The journey to the centre is long though and the local area is not as interesting as made out by the hotel. The staff is welcoming and ready to help. Clean, comfortable design boutique. Strong water pressure in the shower. We came to the hotel at 7 am after long flight and were able to check in without additional fees. Thank you for the great experience. Only downside is the hotel isn't so close to the city but also wasn't too far away- 20 to 30 min car ride. 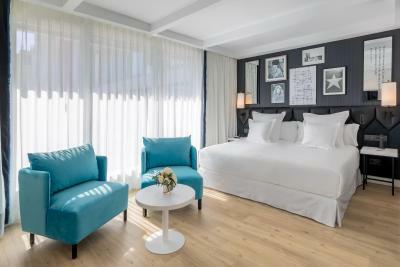 Rooms were clean and furnished beautifully and modernly. Room sizes for european standards were great! USB ports on the night table walls to charge your phones were a plus! Bathroom and shower was excellent. Room service was very accommodating and staff were very professional. The room sizes for the price were excellent. Pool was closed (i knew about it) but it wasn’t mentioned about the roof top bar being closed as well. Everything is how expected. Clean and basic accessories provided and services available. Super fast wifi. Shower and bath were amazing and bed very comfy (even had a pillow menu). 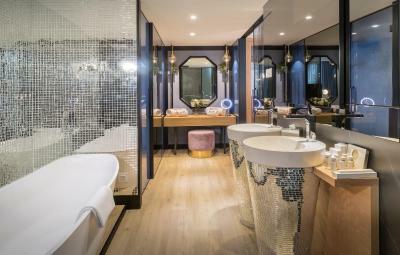 I liked the Bluetooth connectivity in the bedroom and bathroom so we could listen to music in the bath. Supermarket a short walk away and not too far from the airport.